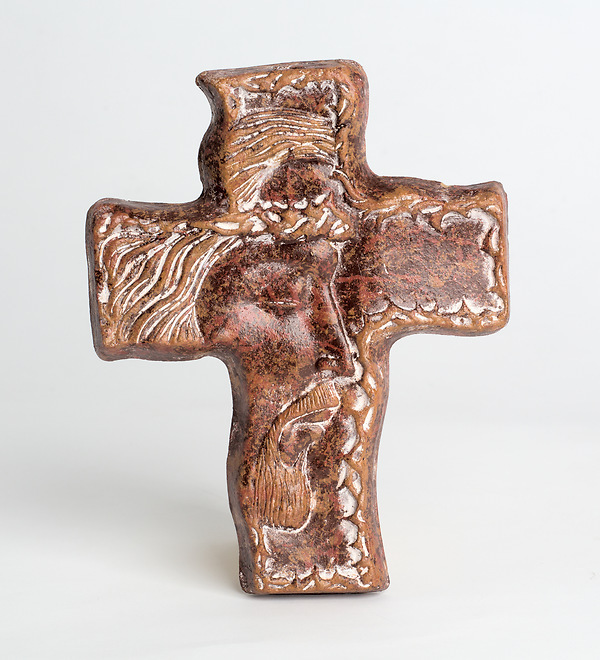 Handcrafted pottery cross. A hook is secured to the back for easy hanging. Colors are assorted.